The volume features a generous serving of fresh content from writers across the country, including Rebecca Hannigan and Norris Eppes. We’re also highlighting powerful new voices such as Jorie Doster, a self-identified queer Episcopalian and graduate student in divinity and counseling, who wrote a knockout essay on queer identity and religion; and Willa Zhang, a Los Angeles native who reflects on what it means to have grown up as a “San Gabriel Valley Asian.” And where would we be without our DP regulars—including a defense of pop punk from Polly Gregory, a reprint of Ruth Isabel Guerra’s analysis of Moonlight, and our 2014 interview with Roxane Gay, courtesy of yours truly. 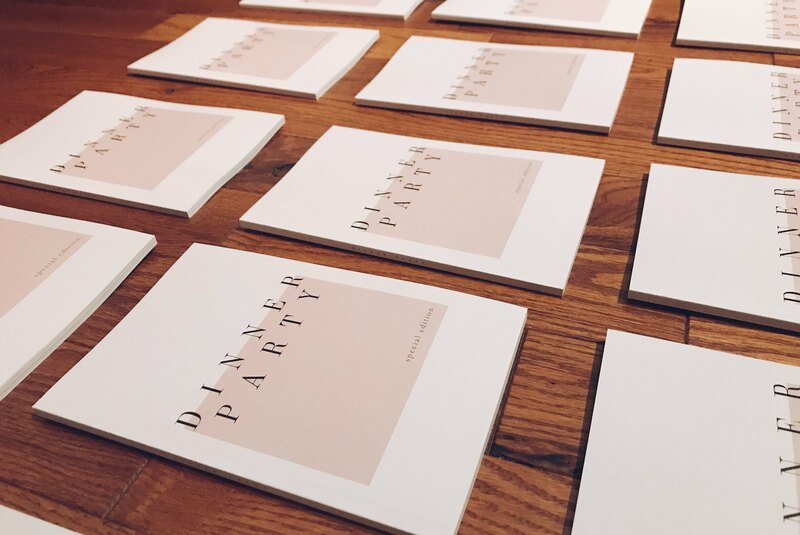 In the spirit of Dinner Party’s collaborative nature, the print edition came together as an entirely volunteer effort, with writers, editors, and artists donating their time, talents, and incredible stories. 100% of proceeds from the print edition’s sales will go to INCITE! Women, Gender Non-Conforming, and Trans people of Color Against Violence. Unfortunately, the first edition has already sold out due to overwhelming—and frankly, unexpected—demand. But we’re currently working on a second print run, so if any of the above descriptions tickle your fancy, please place an order here. And, as an added bonus, we’ll be publishing select pieces and outtakes online over the next few days, so stay tuned for more delicious content!